SoilMapp for iPad provides direct access to best national soil data and information from the Australian Soil Resource Information System (ASRIS) and ApSoil, the database behind the agricultural computer model: APSIM. Find out what’s beneath your feet with SoilMapp for iPad. SoilMapp taps into the best available soil information from Australia’s national soil databases and is a joint project with the Australian Collaborative Land Evaluation Program and the Grains Research and Development Corporation. 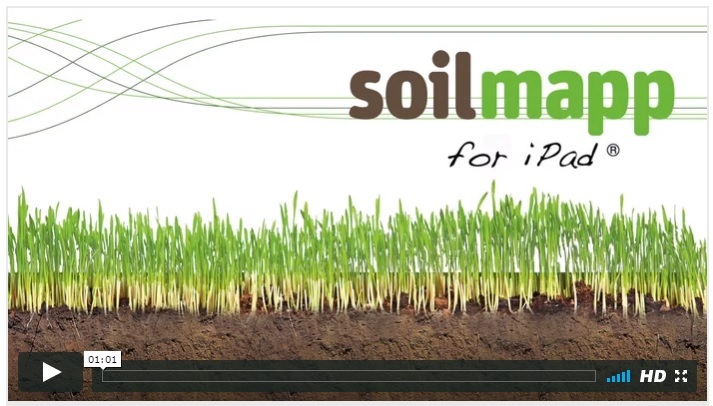 CSIRO’s SoilMapp is available from the App Store. Click the Download on the App Store button at the top of the page or search ‘CSIRO’ or ‘SoilMapp' on the App Store. Download SoilMapp now so you can have soil information at your fingertips. Find out what's beneath your feet with SoilMapp which taps into the best available soil information from Australia’s national soil databases. You can find out about the likely types of soil near you or you can look anywhere across the country. Discover the soil’s secrets, how it holds water, its clay content, acidity and other attributes related to agricultural productivity and land management. access the app anywhere there is wireless or internet connection to your iPad. What data can I access with SoilMapp? SoilMapp for iPad provides direct access to best national soil data and information from the Australian Soil Resource Information System (ASRIS) and ApSoil, the database behind the agricultural computer model: APSIM. Who was SoilMapp designed for? SoilMapp is designed to make soil information more accessible to help Australian farmers, consultants, planners, natural resource managers, researchers and people interested in soil. How can I get SoilMapp? CSIRO encourages soil experts to help improve SoilMapp. You can help by confirming that the selected soil (or close variant) occurs at the pinned location. The information will be returned to ASRIS and will assist with map validation. Users of APSIM, the farm system computer model, such as farm advisers and crop modellers can access the most relevant data on soil water characteristics through SoilMapp. They can then modify it for their situation and upload it to their ApSoil data file for their later use in APSIM. Contact asris@csiro.au if you would like more details on how you can assist SoilMapp. SoilMapp was developed by researchers and information technology specialists from CSIRO working through the Australian Collaborative Land Evaluation Program (ACLEP) and the Grains Research and Development Corporation (GRDC) project: Doing it better, doing it smarter-managing soil water in Australian agriculture. While every care has been taken in compiling the app, no assurances are given that it is free from error or omission. Please refer to the full disclaimer before using the SoilMapp for iPad. Apple, the Apple logo and iPad are trademarks of Apple Inc., registered in the U.S. and other countries. App Store is a service mark of Apple Inc.